Today we are creating the cutest bunny item. 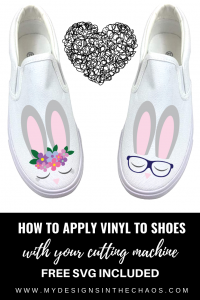 I’m going to show you exactly how to apply vinyl to shoes. We are also included the free bunny SVG file for you below. Check out our live tutorial video below. As with all of our files we don’t mind if you use them for personal or commercial use up to 200 uses. 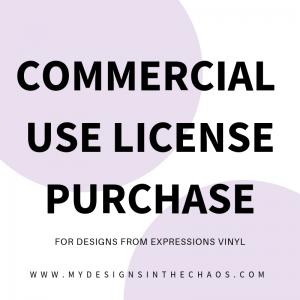 (this means you can sell finished products that you have made with your in home cutting machine with our designs) The files themselves aren’t to be distributed or sold. If you know someone who would also love this file please direct them here to this post to download. Thanks! THIS POST DOES CONTAIN AFFILIATE LINKS WHICH MEANS THAT AT NO EXTRA COST TO YOU WE EARN A SMALL PERCENTAGE WHEN YOU SHOP THROUGH THEM. THANKS! Before you download please take a moment and pin one of the images above. That helps us continue to serve the community and provide high quality free content for YOU! Thanks, we greatly appreciate it! Thanks so much for stopping by and make sure to show off what you create with the bunny file over in our FB group! 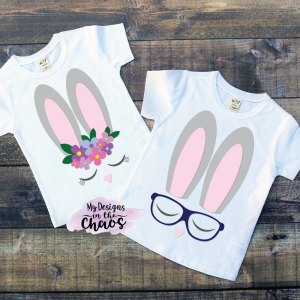 We also have tons more Easter designs available here. Also if you haven’t checked out some of our other popular FREE SVG files make sure to do so. Until next time. happy crafting, cutting, and chaos! Love the shoes, so cute! Where can I get one of those irons?